Darren Bent has been blown away by the impact Tottenham attacker Heung-min Son has been making, but says that the club will struggle to keep him as a result. 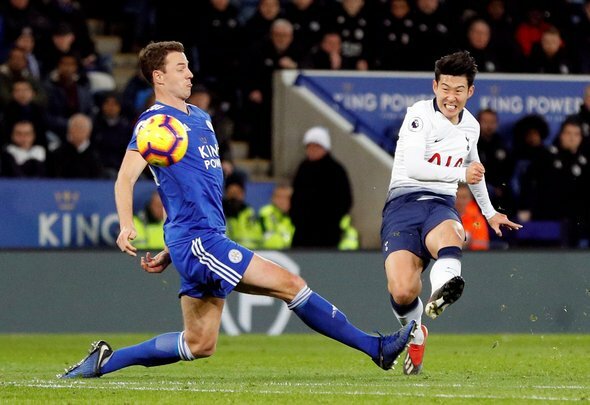 The former Spurs striker labelled the 26-year-old as “amazing” and says how he loves everything about the South Korean, however, he said that Tottenham’s biggest “worry” will be that he would have undoubtedly attracted a lot of interest from elsewhere based on his form. He adds that Son can bring a lot more to the table other than just scoring goals, with his work rate and creativity also being two of his main attributes. “Son is an amazing player. Everything about him, the way he plays the game, he’s such a threat and he can finish with his left and right feet. The only worry for Spurs in the next few years is losing some of these players,” he told talkSPORT’s ‘Extra Time‘. No one would have predicted that Son would have made the impact that he has on Spurs at the beginning of the season. He has always been a great player for the club, but he has really come into his own this term, and you can tell that Spurs really miss his influence when he is not on the pitch. This was particularly evident when he went away with South Korea for the Asian Cup, and since he has come back, Tottenham have had a new lease of life. However, Bent is right – they will struggle to keep hold of him, as there will be a few clubs who would have been alerted to his form this campaign. They simply cannot afford to lose him after failing to sign anyone, and to be honest, it would be rather difficult to find a suitable replacement for him. Tottenham are lucky to have a player like Son, as he has certainly been key for them so far.